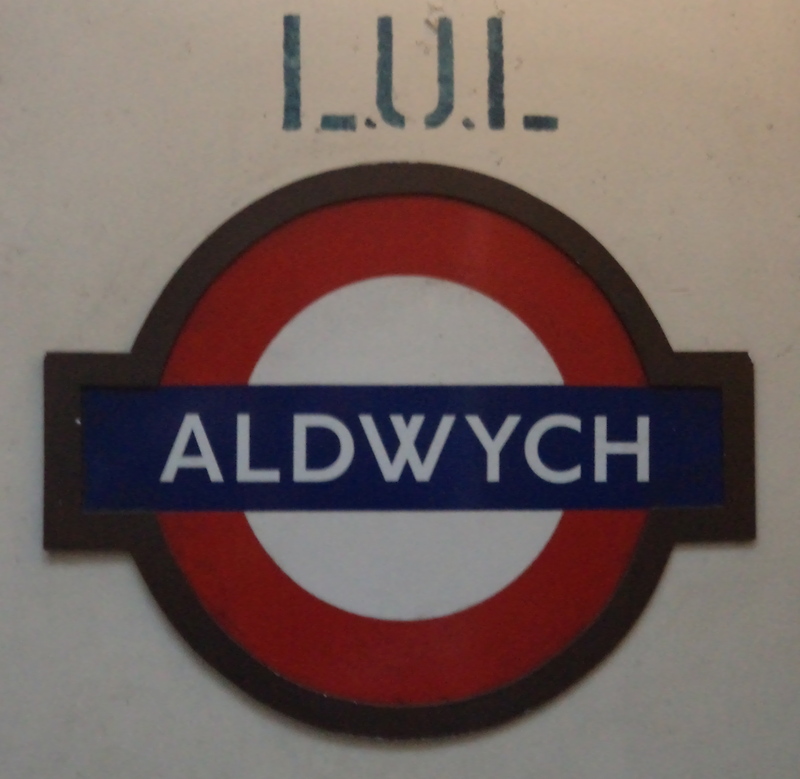 Every so often the London Transport Museum opens up the ‘non-operational’ Aldwych Underground Station for guided tours. And at the risk of sounding like a train-spotter of the first order, I was lucky enough to get tickets for the latest round of these, held over the last weekend in November and the first weekend in December. 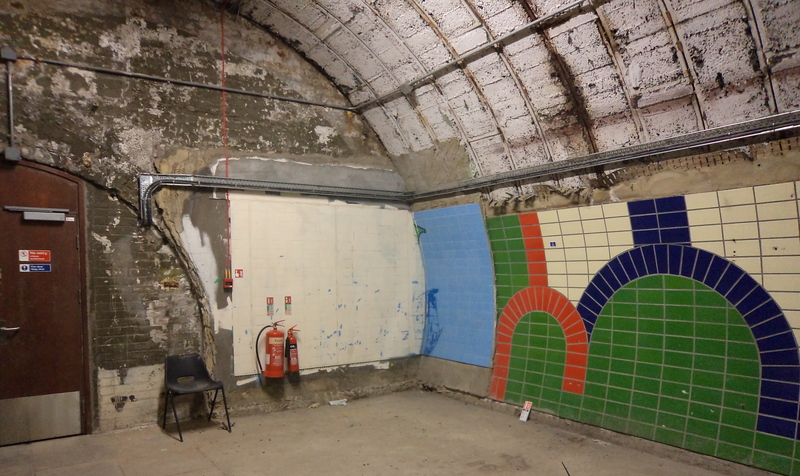 Aldwych station, first opened in 1907 and originally known as ‘Strand’, finally closed to the general public in 1994 – though it’s hard to believe it was so recent given the state of its interior and the 1970s posters still adorning the walls. Other than transporting people from A to B, it’s other major claim to fame was as a bomb shelter in World War One and World War Two. What it also sheltered from the bombs was paintings from the National Gallery (WWI) and objects from the British Museum and the V&A (WWII). The Elgin/Parthenon Marbles spent some years languishing behind the door in the picture below (and note the tiling ‘practice’ on the right hand side). The station also features in a number of films (V for Vendetta, Atonement and James Bond’s Die Another Day), and is currently used for training purposes by emergency services. 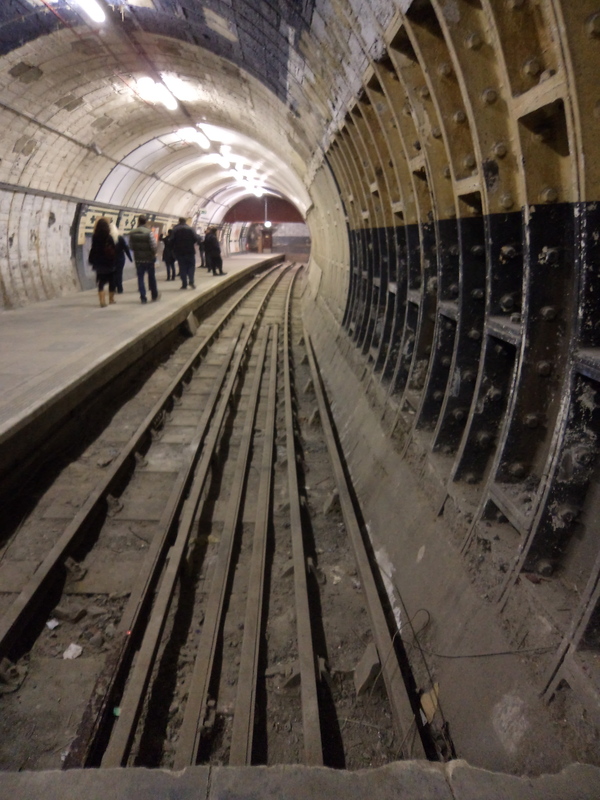 The tour takes in both platforms, and ladies you should leave the heels at home for this one as sensible shoes are required in case of a serious evacuation – which would involve walking down the tunnel to Holborn station. It’s a fascinating way to spend an hour on a Sunday afternoon and is again the sort of event that I hope to advise people of beforehand in the future! You can keep an eye out for yourself on the Transport Museum’s page below, but be quick when tickets do go on sale next time as they sell out extremely quickly. This entry was posted in History/heritage, Past events, Walking tours and tagged Aldwych Station, London Transport Museum, London Underground, Tube by thelondonphile. Bookmark the permalink.